You might still remember that in not so long ago various discussion boards (forums) was the key place to discuss and share your opinions. There were many different forums that had various topics and activity. Generally this was the main way to communicate with people that are interested in the same things. Currently, most of discussions happen on groups in social networks. If you want to take full advantage of social networks and forums, you may consider to use both. It is a great way to meet new people and get some interest. This time SmartBettingGuide.com is offering you to think about the advantages that you can use to better your betting knowledge. Social networks keep taking a big part of people lives. This way of communication becomes the first, the fastest and the easiest way to get information. It is extremely useful for those who want to improve their betting. A quick accessibility. Since you become a member of a certain group, you can easily see new posts and comments. Besides that you can check any group or page to “see first”, which guarantees you will not miss important posts that may be useful. It really is handy when someone shares such news as recently reported injuries. As well it is a good way to follow picks. Facebook groups (well, at least many of them) are very active. Therefore, this provides you a chance to get to know many various opinions that may help you to make certain decisions. 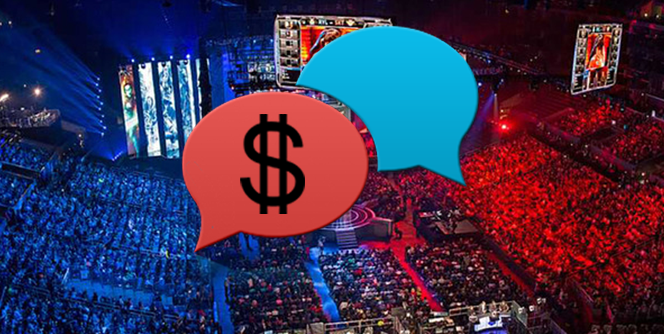 Various betting related discussions help you to constantly improve. Possible reach. In before mentioned groups you can see not only good activity but a decent number of people of interest. As a result of that, many people can see every question, discussion and an offer. It is extremely useful, if you want to make a poll and see other opinions or want to advertise something (of course, if group rules allow that). Even though popularity of forums has rapidly decreased, there are still plenty of them. Some remain very active. The best thing about those forums is their users. Most of them have been participants in discussions for a long time, therefore their reputation and knowledge is kind of clear. Old members might have more experience and tips – what you could not find on social networks. More mature people. Forums are the places on the web, where you can meet slightly older people. Therefore, conversations can be better and you can avoid stupidity that you may face on social networks. Different kind of information. Usually you will see different content than on social networks. This can be a great advantage. Less repeating content. On various groups same questions, same answers and same discussions repeat a lot. Forums’ content differs more and there are less repetition. Not mentioning actual groups and forums, we recommend you to take advantage of possibilities to gain information through these channels. As usual, your best bet is to use both these ways. It can increase your chances to be better at betting!